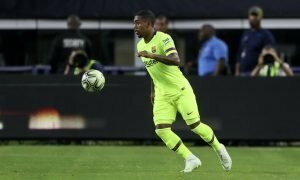 Arsenal prepare offer for excelling Spanish international | The Transfer Tavern | Where football transfer rumours fly or die! Arsenal fans in the Transfer Tavern haven’t endured an enjoyable weekend, dropping valuable points against Norwich City, but there’s reason to be positive following the latest reports. Fichajes state that Arsenal are set to make an offer to entice Celta Vigo forward Nolito to North London in January, as they look to bolster their squad as they push towards the Premier League title. 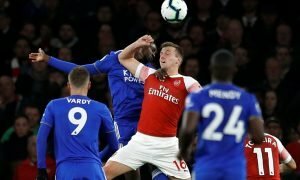 The Gunners sit two points behind Manchester City in the race for the Premier League title and injury concerns have increased the need for Arsenal to purchase new faces in the New Year. However, there is a problem as the same reports state that Nolito’s preference would be to remain in Spain and join La Liga giants Barcelona. Arsenal can expect fierce competition for Nolito’s signature in January from the Catalan side but Luis Enrique’s outfit have financial problems and need to sell to buy in the New Year- which could give Arsenal the advantage. Gunners fans at the bar are confident they can win the race for Nolito’s signature but are adamant that it’s not the only piece of business that needs to be done in the New Year. Arsenal fans, is Nolito the player you need? Can you win the Premier League? Let us know in the comments below!